What is the purpose of the Furniture Dollies? The furniture dolly is the perfect product to move heavy equipment that cannot easily be lifted. They allow the items to be rolled to its destination without having to carry it. These dollies save the pressure that would normally be put on your back and bear the brunt of the load so all you are responsible for is pushing and steering it to its new destination. Where can this Trolley be used? 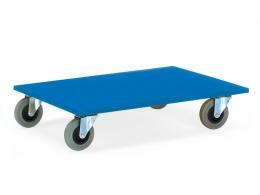 This wheeled base can be used in any warehouse or showroom where large items need to be moved around. Whether you are setting up rooms in a furniture store or you are moving things around in the back storage area, these dollies can save you manpower and time. Who might use this Dolly? This trolley is going to be used by any employee who is responsible for moving furniture. This is also a great item for professional movers to use as well. Moving desks and other heavy office equipment can easily take a toll on your back, but having one of these dollies makes moving quick and easy. Especially for those local moves, where offices are just changing locations within buildings, these dollies take away the hassle of having to hire extra people for such an easy job. 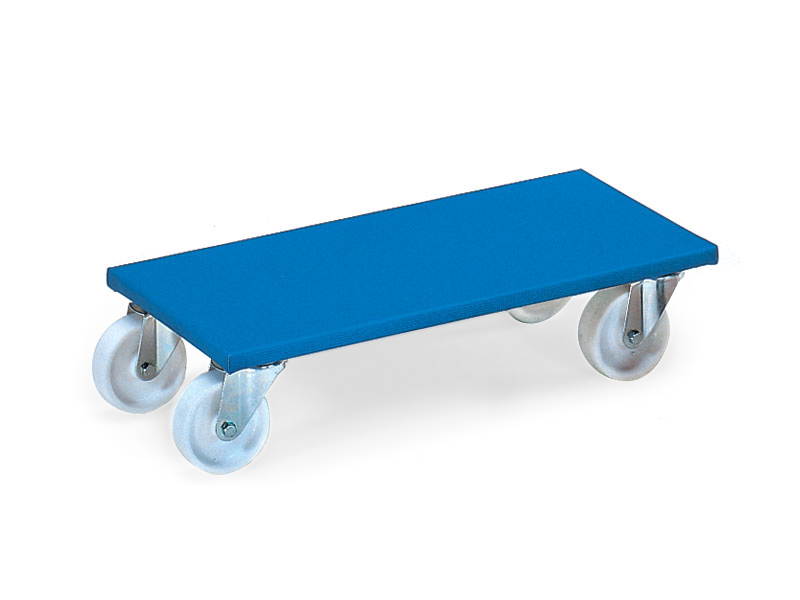 The furniture dolly is offered in a variety of models that can bear weight ranging from 350-500 kg. It features a plywood platform with a non-slip coating to ensure your furniture won’t slip off when used correctly. This product comes with a generous 10 year parts and labour warranty, which ensures the product will endure a long life of moving furniture. This product is available for free shipping to any mainland UK location.